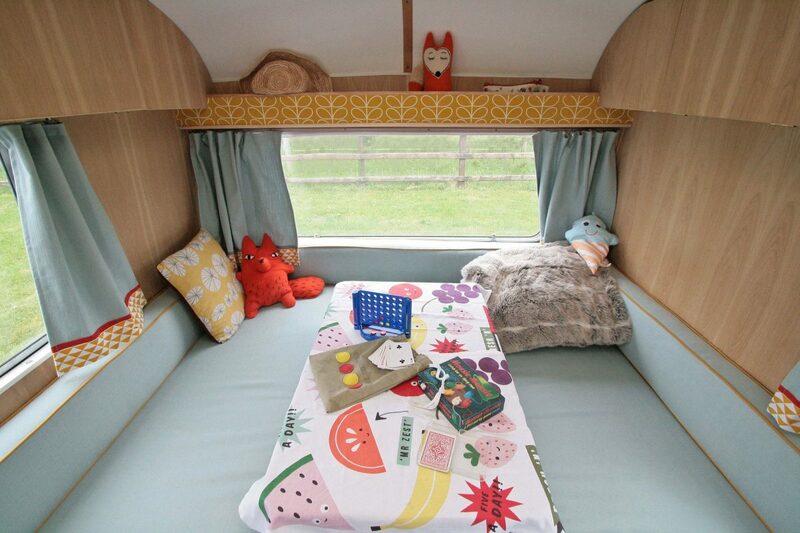 Introducing 'Betsy Squirrel': A 1969 Cheltenham Fawn Caravan restoration. 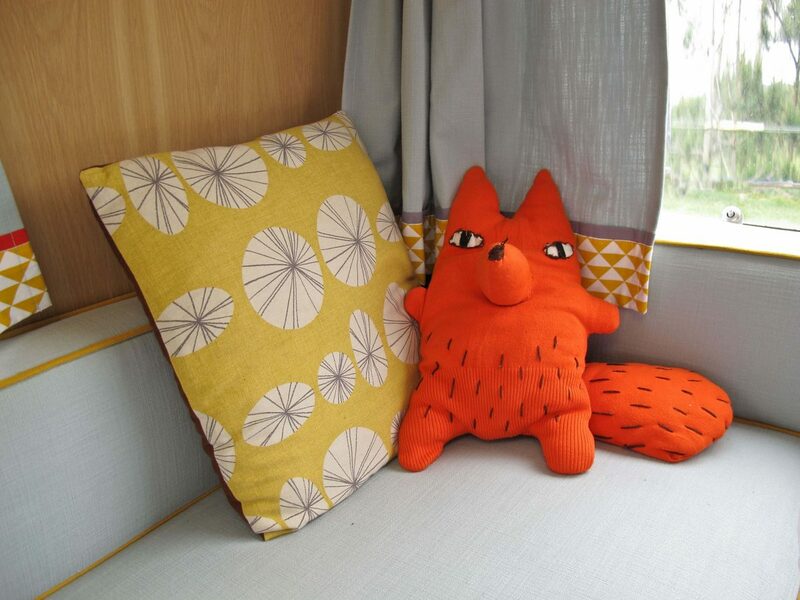 We’ve just returned from our fourth trip to Min-y-don Caravan Park in Harlech, Wales. 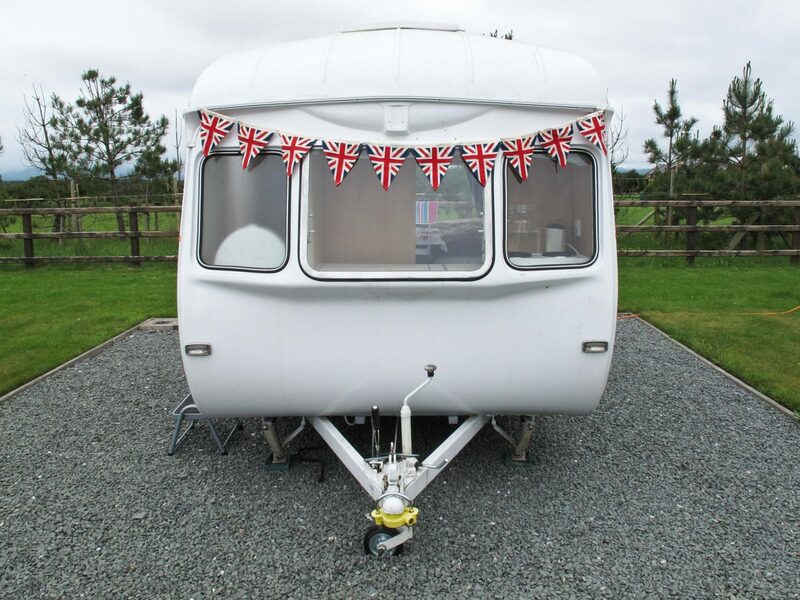 This time, as well as looking forward to meeting up with our good friends, the Hayters, we were excited to see the grand unveiling of their 4-year DIY renovation project, a vintage 2 berth 1969 Cheltenham Fawn Camper Caravan. 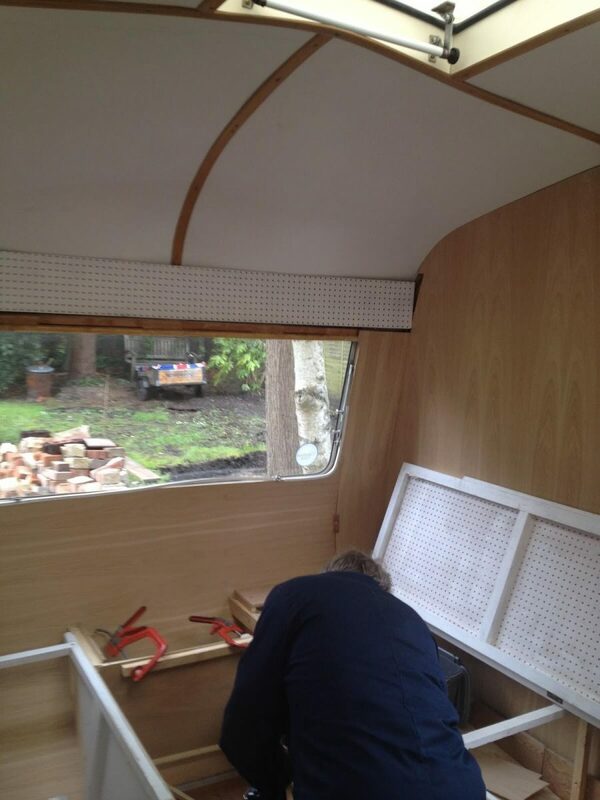 The newly restored caravan, affectionately named ‘Betsy Squirrel’, is a thing of beauty. In fact, she hasn’t simply been restored to her ‘former glory’, she’s surpassed it. 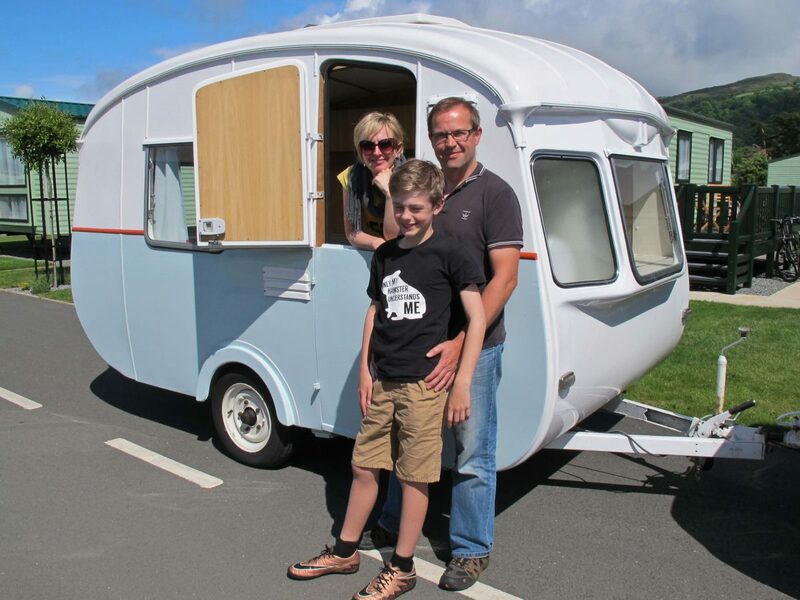 Team Hayter and their lovingly restored 1969 Cheltenham Fawn Caravan, ‘Betsy Squirrel’. 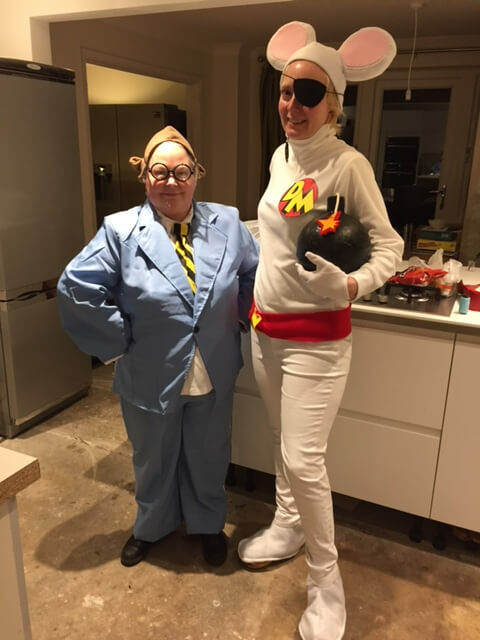 Tracey Hayter, friend, teacher, caravan renovator, World Book Day costume-making Queen and one of the most creative people I know. Tracey, Betsy’s owner, has been a mate of mine for years. Despite the Nottingham lass moving ‘down south’ years ago, I’m delighted to say we’ve remained close. As the years have passed and we’ve married and had children, we’ve continued to enjoy our Taylor/Hayter reunions and holidays. When we get together, the kids play happily together, Simon and Mr T while away hours talking about cars, DIY and man stuff, and Tracey and I inspire each other with creative ideas (as well as having the odd glass of Prosecco). Plus, the kids and dads all agree that the nighttime treasure hunts Tracey and I plan for the kids whenever we go on holiday together are legendary. Tracey is one of the most creative people I know. In fact, you’ll find several of her fabulous handmade items in my Instagram feed. She worked as a fashion designer for many years until the premature birth of her son, Roo, prompted a career change. She retrained as a secondary school teacher, and hasn’t looked back. She loves her new career and her role as the head of food and technology (including resistant materials and textiles) at a school in Surrey. She’s always bursting with ideas and is currently working on a recipe book filled with recipe contributions from the staff and pupils which even includes a few self-penned rap songs about vitamins and minerals. 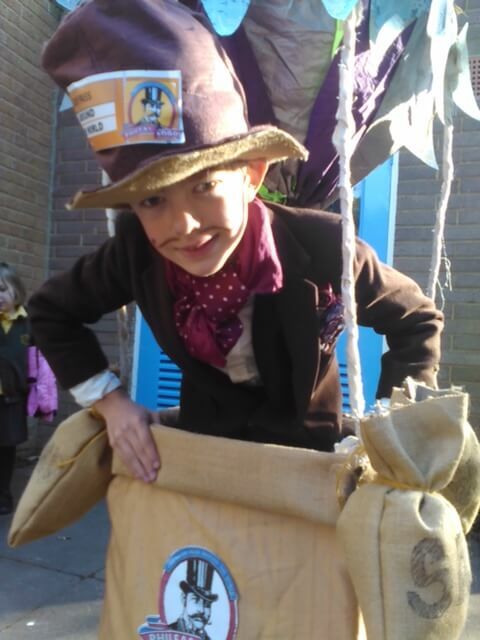 What’s more, whilst I dread the ‘World Book Day dress as your favourite character’ letters from school (Read about it: HERE), Tracey loves making World Book Day costumes! 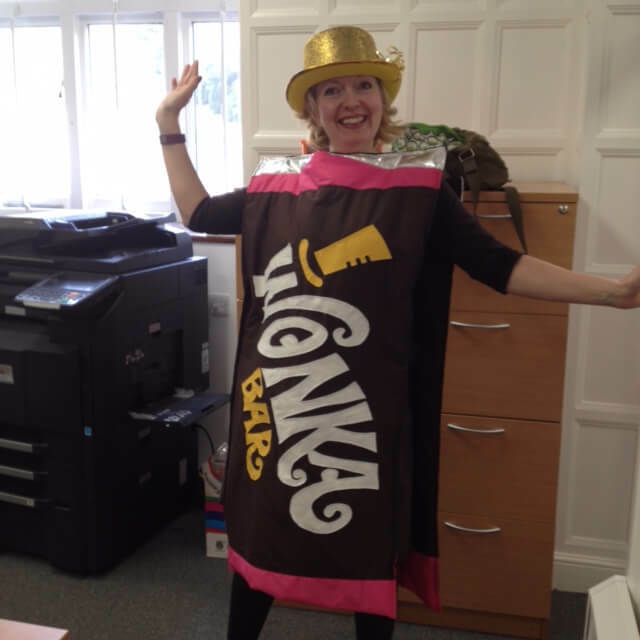 As well as making a Phileas Fogg costume for Roo (complete with hot air balloon), she’s dressed as a Wonka Bar and even Danger Mouse. She also dreams up the most amazing kids’ parties for Roo, with themes which usually include getting messy and having LOTs of fun in the process. I could go on about all the things Tracey has turned her hand to over the years, but I’m hoping she’ll agree to be the subject of one of my future ‘Creative Inspirations’ posts. 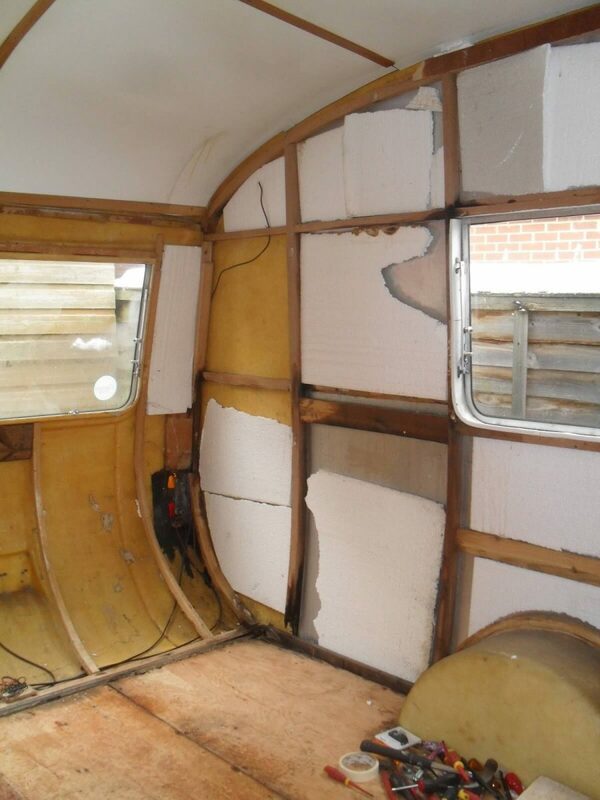 In the meantime, let’s get back to Tracey’s 1969 Cheltenham Fawn Caravan restoration project. 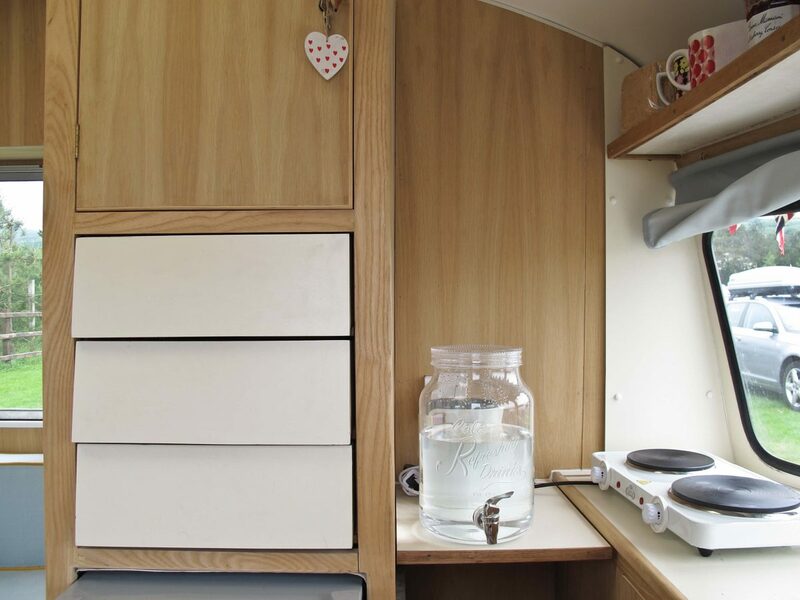 When Tracey and her husband, Simon, viewed ‘Betsy Squirrel’, the classic 1969 Cheltenham Fawn caravan for the first time, they immediately saw her potential. 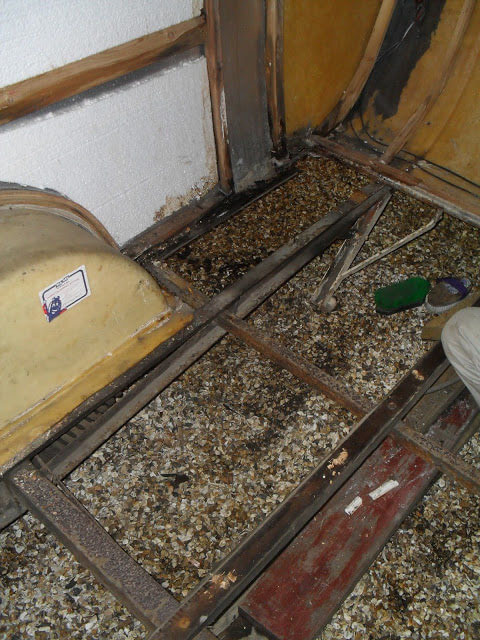 They knew if they took her on as a restoration project, it would involve a lot of work as there were damp spots and areas where the wood has perished. However, they were convinced ‘Betsy’ would be worth the time and energy they would need to put into restoring her. They loved the fact Betsy had lots of original features they could restore. 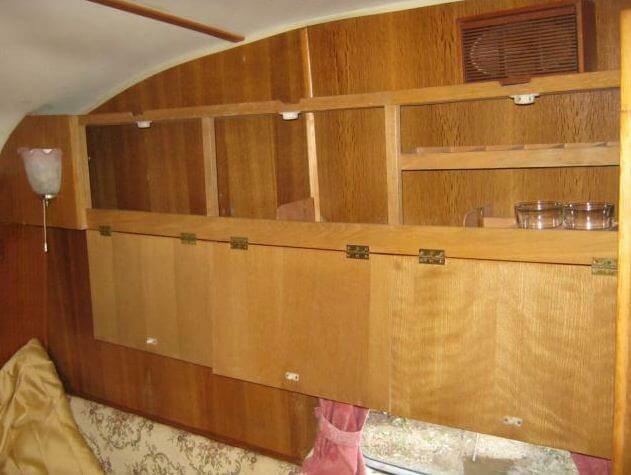 They loved the curved cabinets, which were still in great condition. 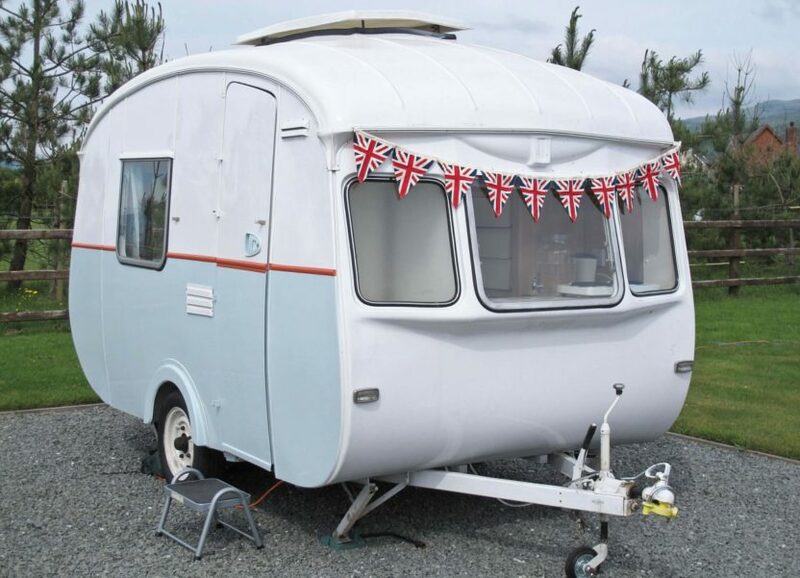 They also loved Betsy’s gorgeous curves, which had so much more personality than the modern, white box caravans most people own. Thankfully Tracey and Simon could see beyond the outdated, ugly 1960’s dark wood interior and chinzy cushion covers and curtains. They fell in love with her and bought her, firmly believing the time and energy they would need to put into restoring her would be worthwhile. 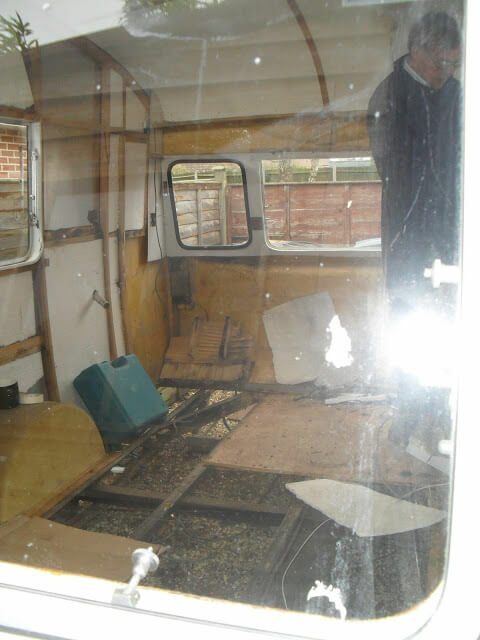 The 1969 Cheltenham Fawn Caravan renovation project. Although Tracey and her husband Simon were involved in various aspects of the restoration project, a lot of the structural renovation work and joinery was carried out by Tracey’s father-in-Law, Terry, a talented carpenter. It was a huge undertaking, considering most of the interior had to be stripped back to the bare chassis frame and the floor removed before he set about the task of painstakingly rebuilding and restoring the interior. Tracey learned so much from Terry and they worked well together on the interior fittings, ceiling, walls and insulation. Staying true to the original design, the cabinets and interior walls were refaced in oak. 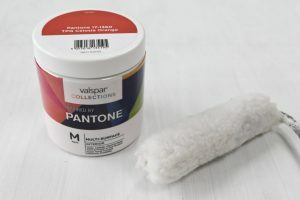 However, instead of using dark wood varnish, Tracey opted for a clear matt varnish to preserve the fresh modern appearance of the light oak. 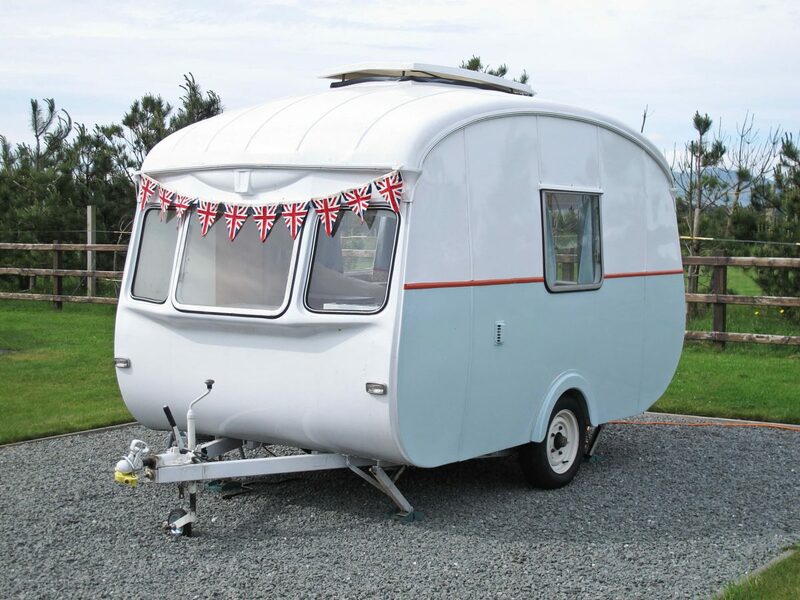 Initially, Simon thought the caravan should be resprayed in the original white. However, Tracey felt Betsy needed more personality and a quirkier colour combination. 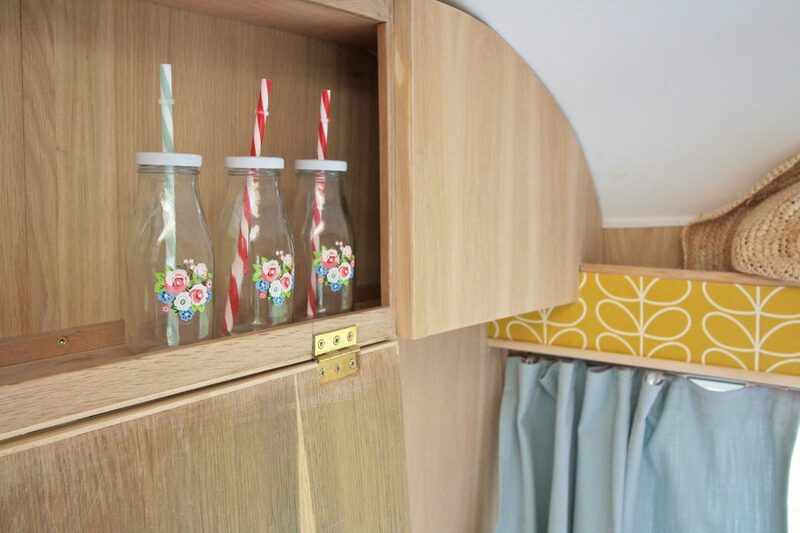 In the end, the exterior of the caravan was resprayed professionally, in colours to match the fabric samples Tracey chose for the interior. They’re really pleased with their decision as the blue, orange and white work so well together. Last summer, Tracey sewed all her own cushions, curtains and blinds, with the help of her brother-in-law, Merv, an experienced upholsterer. 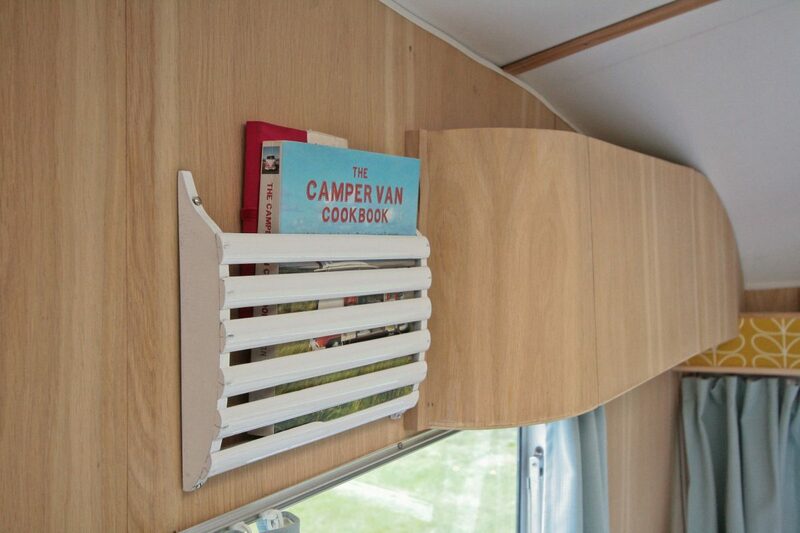 She opted for the idea of adding pattern and bright colours as highlight trims on the inside, especially as so many caravans are brown and beige. When you are creating your own caravan interior from scratch and have the ability to play with colour, pattern and design, why go neutral? Tracey Hayter. 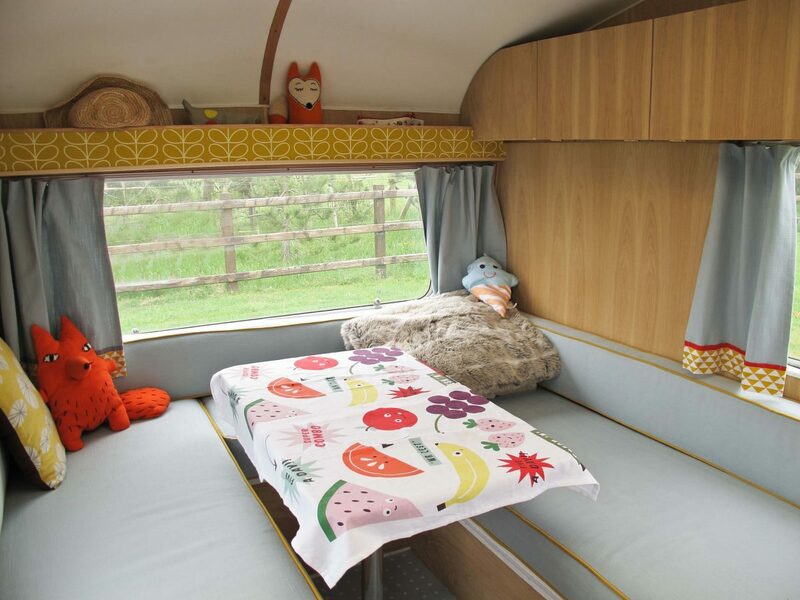 When we saw Betsy, their newly renovated 1969 Cheltenham Fawn Camper Caravan for the first time, we were absolutely amazed by the transformation. We’d seen her at her worst and so it was incredible to see what Tracey and Terry had achieved, with the help of Simon. I wholeheartedly agree with their decision to add a splash of colour to Betsy’s exterior, too, with the blue and orange adding character and interest to the finished renovation. 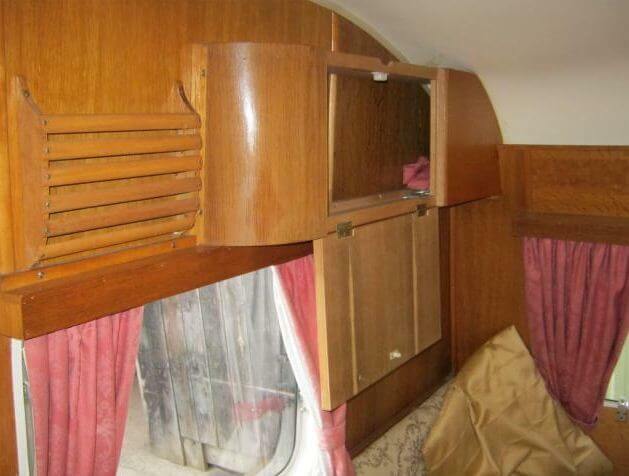 However, the real treat lies beyond the door of this beautiful little caravan. The interior is absolutely stunning and Tracey’s choice of colours, patterns and fabrics is perfect for this unique makeover. Plus, the light oak is so much more current and ‘Scandi’ than the depressingly dark stained interior it replaced. 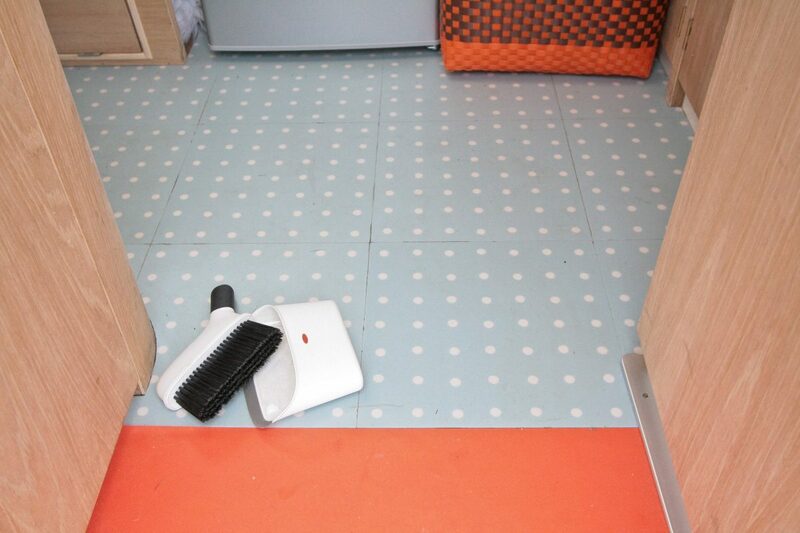 The bright blue and white spotted vinyl floor tiles, with the orange flooring at the doorway is a big improvement over the black and white tile effect flooring it replaced. 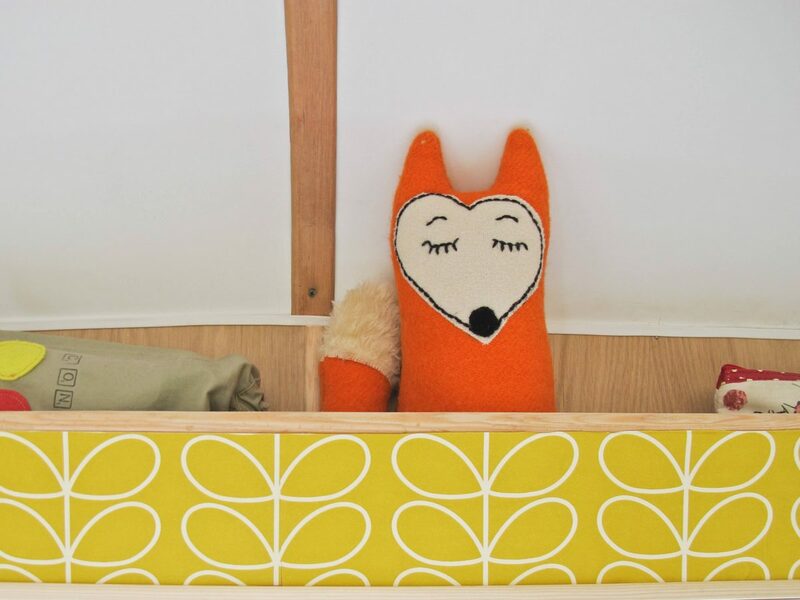 Along with the handmade soft furnishings and cushions, there are some lovely little finishing touches like the foxes. I absolutely love the large fox Tracey made from one of her old cardigans. 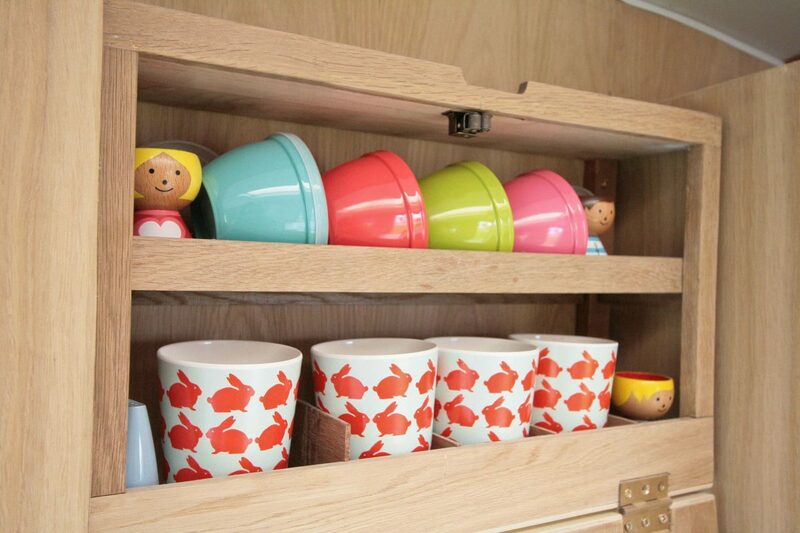 Tracey has collected lots of lovely pieces to fit with her retro caravan, too. 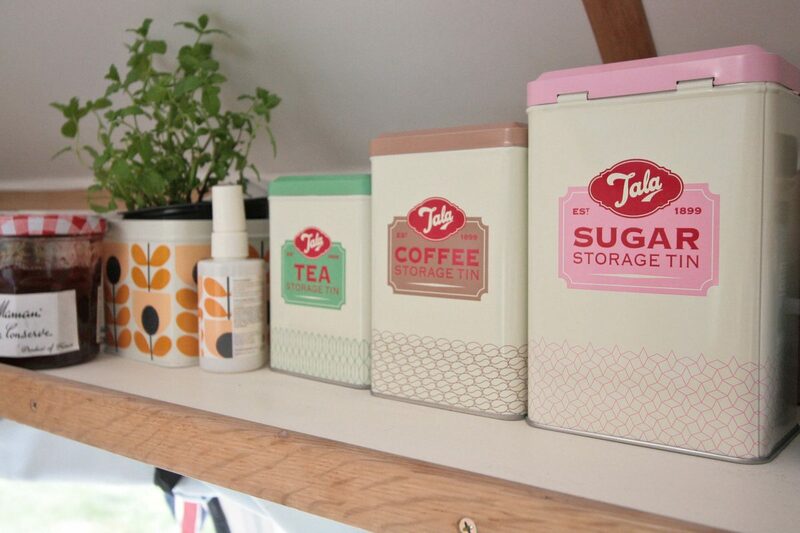 The Tala kitchen tins, the brightly coloured cups and tumblers, the patterned milk bottles and even the ‘retro’ Orla Kiely Stem wallpaper all add to the effect. 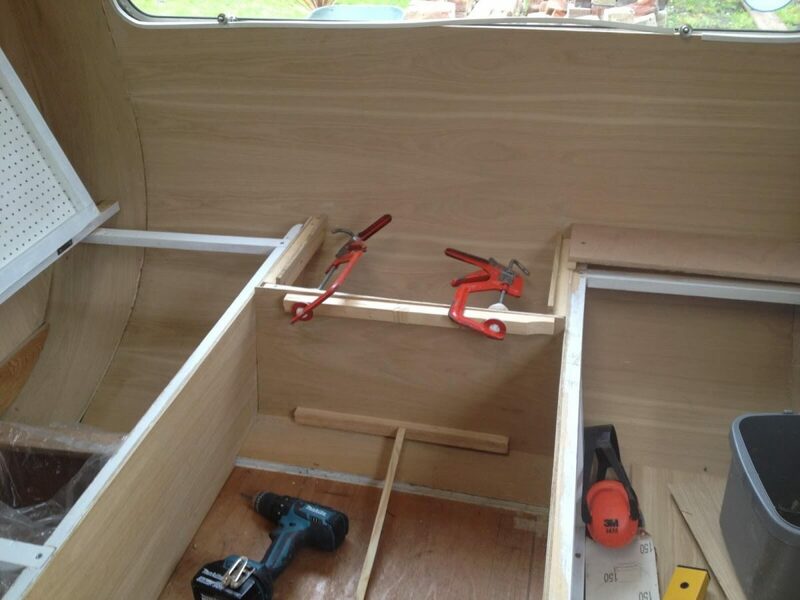 The Hayter’s beautiful little Cheltenham Fawn caravan still needs a bit of work before she’s finished. There are bits of trim to add and other interior finishing touches but she’s 95% there. 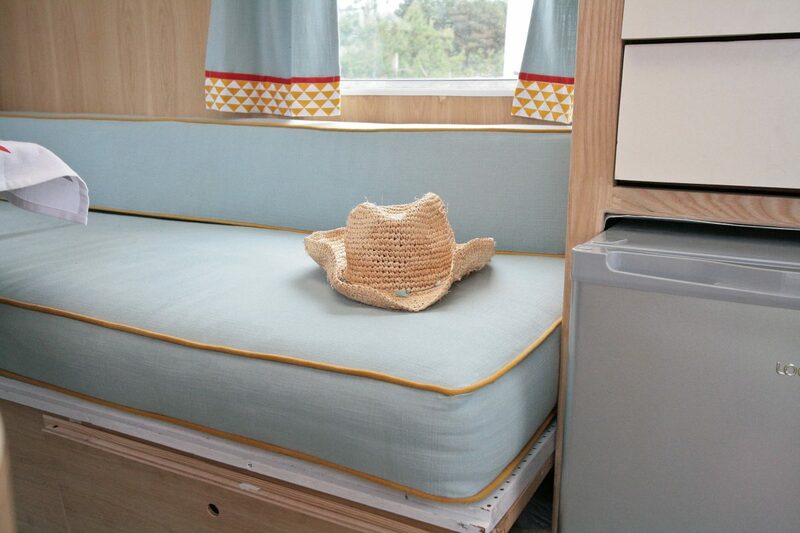 Tracey wants a bespoke awning for Betsy, so there’s space for Roo to sleep when he doesn’t fancy squeezing in between his mum and dad. So far, she hasn’t found an awning to compliment her little van’s individual style, so she may have to make one herself. 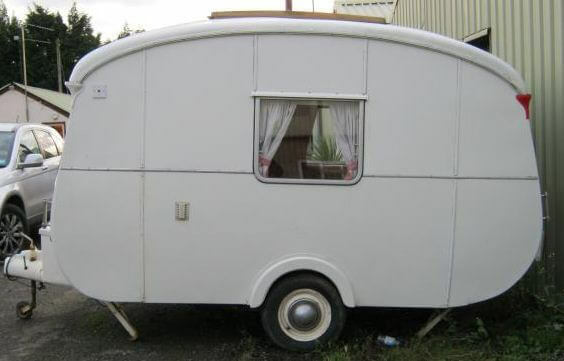 Tracey is also hoping to find a cover for Betsy the caravan, to protect her from the elements. 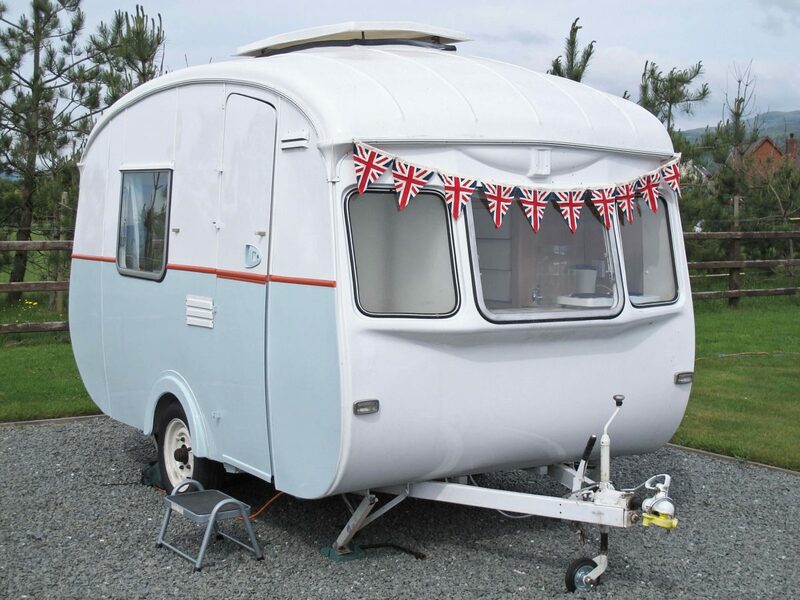 However, again, finding a cover to fit her little caravan isn’t easy, so if there’s anyone out there who can supply a custom-made awning for a 1969 Cheltenham Fawn Camper Caravan, please get in touch with me. 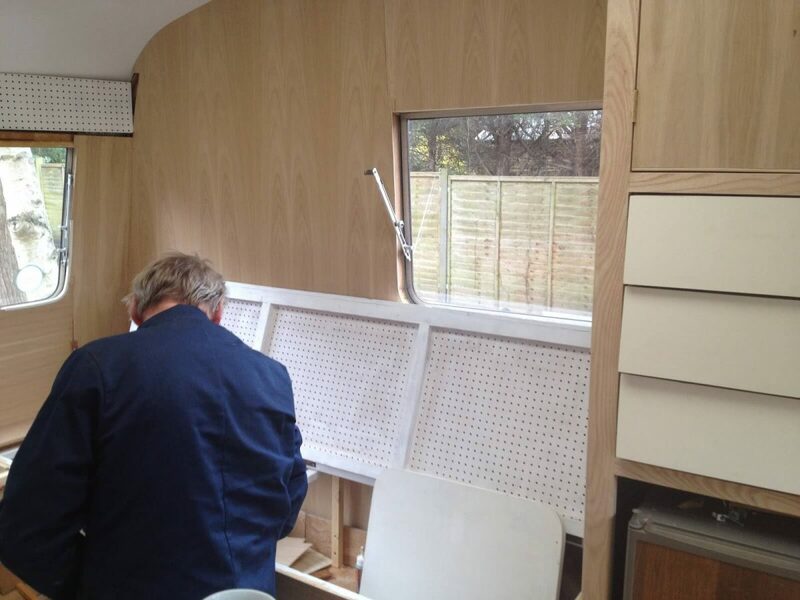 1969 Cheltenham Fawn caravan restoration project: The verdict. 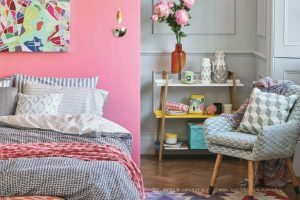 In George Clarke’s Amazing Spaces, where he checks out dozens of DIY projects which make the most of small spaces, he is often quick to utter the words ‘Amazing.’ However, in my opinion, ‘Betsy Squirrel’ really is an amazing space. Betsy may be small but she’s perfectly formed. As well as looking beautiful, inside and out, she’s practical too. 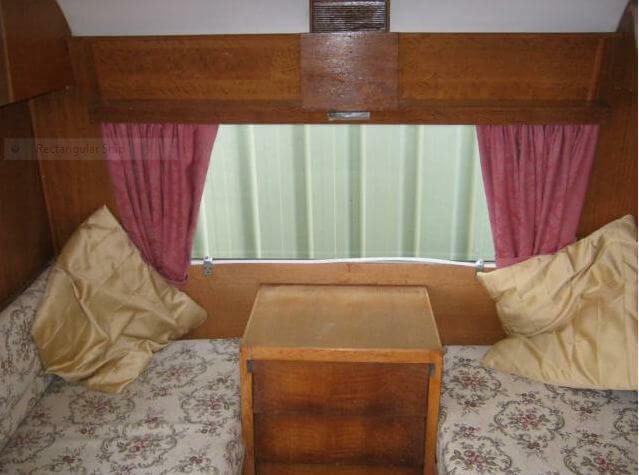 Rearrange the internal space and the table and two sofas make a comfortable double bed, (or a snug 3-berth in the case of the Hayter family). There’s storage space, too, with wall cupboards and room for blankets and pillows under the two sofas. 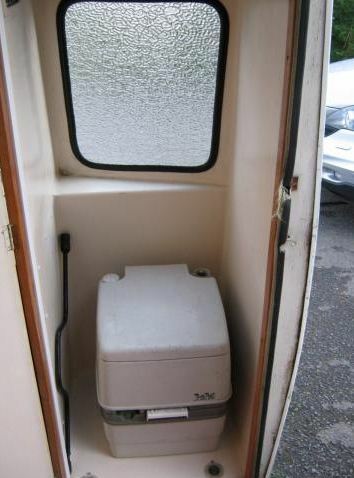 Incredibly, in such a small space, there’s a good sized fridge, a sink, a two ring hob and even a WC. Tracey and her father-in-law have done an incredible job with this restoration project. 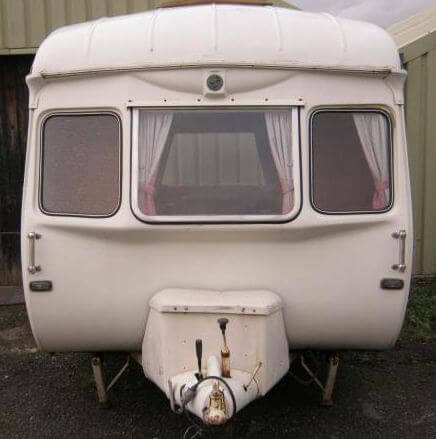 In fact, If I were asked to imagine the perfect vintage caravan, in terms of shape, colour and interior finish, ‘Betsy Squirrel’ would be very close to my ideal. 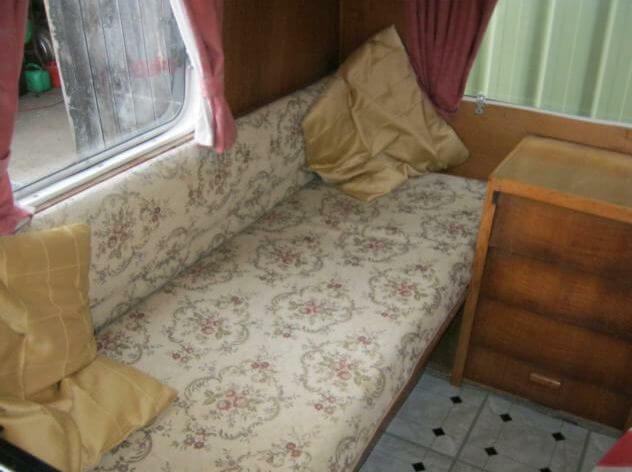 Tracey’s handiwork with the custom made curtains, piped seat cushions, and carefully selected accessories adds to the charm of this gorgeous little slice of caravanning history. What do you think of ‘Betsy Squirrel’? What are your favourite aspects of the restoration? 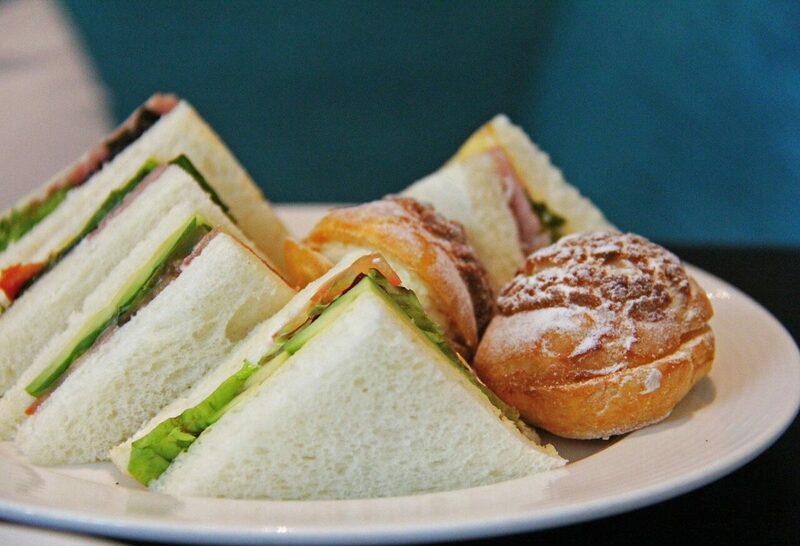 Do you like Tracey’s idea of renting Betsy out for afternoon teas and such? 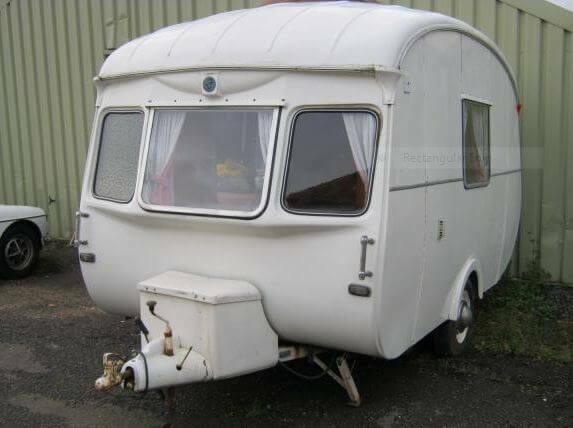 If you had a vintage caravan like this, would you use it for your own caravan adventures or would you have other ideas for it? As always, I’d love to hear from you. No matter the size…all homes have a purpose! We’ve got several posts on Littleblackdomicile.com that also show tiny travel homes. What fun this one is! The family will have so many good memories. I mean – how gorgeous is Betsy! 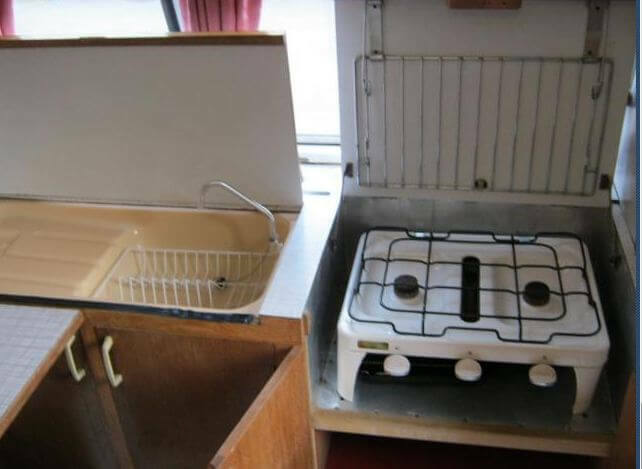 It reminds me of an old camper van my brother is doing up at the moment. I’m so not a camper but this could actually tempt me. And how clever is your friend! Amazing. She’s so talented! I love Betsy. Thanks, Caroline! Love your garage conversion, too! Oh my goodness it’s adorable! 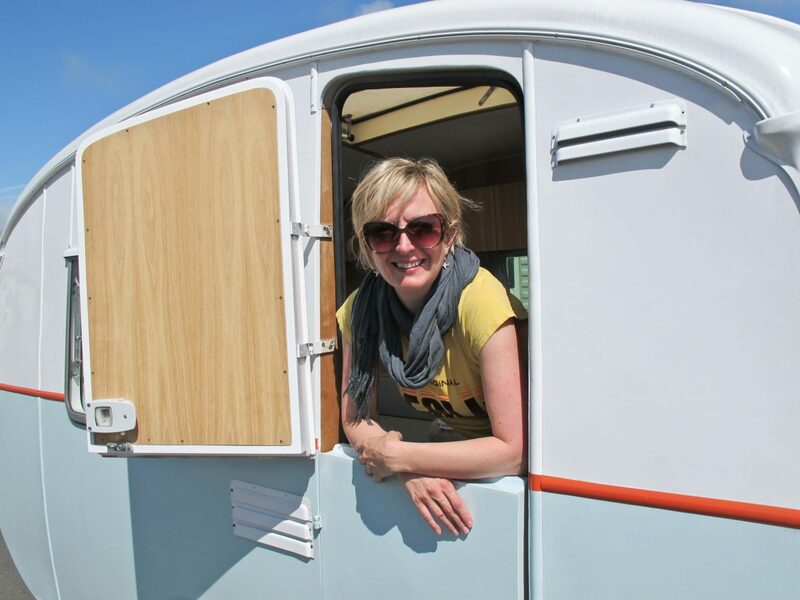 I’ve wanted a caravan for such a long time, the real dream is to buy an airstream trailer! She is glorious! 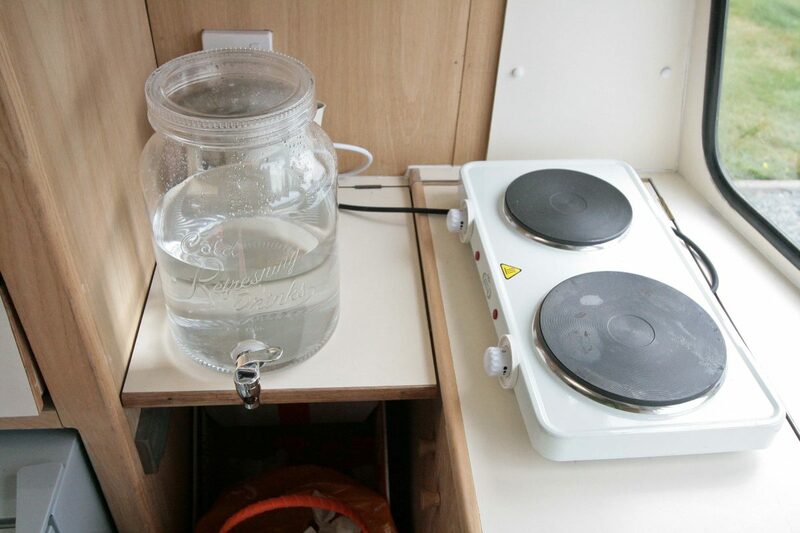 Can you believe we’ve sold our very own Penny after 7 years of caravanning fun? Got to fund Disney somehow!! I’d love a van just like this. I love how long the benches are around the table! We have a 1963 Yellowstone, and the seating is, well, a little cozy describes it best. Very fun transformation!